Surface mining | Mining equipment | Ingconsult Ltd.
more information Wheel loaders Simply stated, you won’t find a more comprehensive line of technologically advanced wheel loaders than P&H Generation 2 wheel loaders. more information Surface crushing and conveying equipment Joy conveyor products, designed for optimum availability and reliability, are utilized in some of the most productive material handling applications worldwide. more information Hybrid excavators The P&H 2650CX hybrid shovel is designed to deliver up to a 15% reduction in cost per ton when compared to large diesel hydraulic excavators - through a combination of reduced fuel consumption, improved availability, and decreased maintenance and repair costs. more information HAC and related systems Since the early 1980s, the HAC (high angle conveyor) system has proven itself to be a versatile and money-saving method for elevating or lowering materials continuously from one level to another at extremely steep angles. 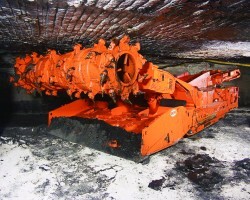 more information Electric rope shovels From their ultra-rugged lower works to their spacious machinery decks and classic, twin-leg style handle-and-dipper configuration, P&H electric rope shovels have earned a place as a preferred loading tool for high-production, high-efficiency mine operations. more information Draglines P&H draglines have a solid reputation and proven performance in the industry, with boom lengths and bucket capacities available to meet your specific requirements. 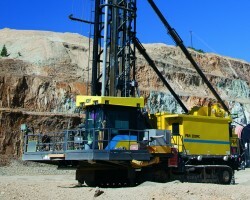 more information Blasthole drills Rotary blasthole drills from Joy Global are productive solutions for all mine types.